For many people, at the first sign of a fever, headache or other minor discomfort, the “go to” remedy is acetaminophen, the active ingredient in Tylenol. Since pain is a sign that something is wrong, covering up the symptoms without getting to the cause is not a good plan and often creates more serious problems. Helping the body to heal itself without drugs is a much better option. Google “acetaminophen dangers” and see what comes up. The results are scary, especially if you take acetaminophen like candy. 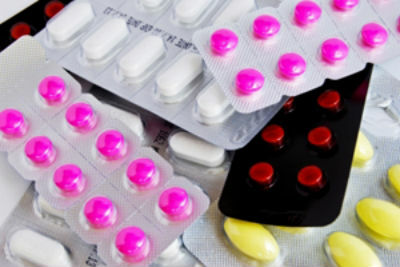 According to the FDA’s Center for Drug Evaluation and Research, “some symptoms of acetaminophen overdose mimic flu-like symptoms, resulting in the individual continuing to use acetaminophen.”1 It is scary to know that the symptoms of an overdose might cause you to take even more and aggravate the problems. Tylenol is not candy! Is the risk of extreme side effects and liver damage worth taking a quick fix drug that has the potential to quickly and permanently make things worse? Drugs.com provides 12 pages of side effects from Tylenol and other acetaminophen based drugs ranging from unpleasant digestive issues and mood swings to seizures, hives and dizziness. “Acetaminophen overdose is one of the most common poisonings worldwide. People often think that this pain-relieving medicine is extremely safe. However, it may be deadly,” says the U.S. National Library of Medicine.3 Since we humans come in all shapes and sizes, the standard dose for one may not be right for another and let’s be honest: How many people really wait 4-6 hours before taking the next dosage? On WebMD’s internationally recognized website, an article entitled Acetaminophen (Tylenol) Poisoning by Dr. Michael Ameres and Dr. Daniel Crough states that, “Too much acetaminophen can overwhelm the way the liver normally functions.”2 So how much is too much? Slightly increasing the recommended dose can be dangerous and can happen unintentionally. McNeil Consumer Healthcare issued a press release in July 2011 announcing plans for new dosing instructions. Tylenol’s recommended dose per day is being dropped by 1000mg because of people taking other medications that have acetaminophen as an added compound. Instead of reaching for the pill bottle or the tablespoon to measure out the next dose, and risking taking too much or giving too much to a loved one, contact your 100 Year Lifestyle Provider or go to www.100yearlifestyle .com to find a provider near you and experience how Chiropractic Care can help you live the healthy drug free lifestyle you deserve. CDER’s Acetaminophen Hepatotoxicity Working Group. Acetaminophen Overdose and Liver Injury – Background and Options for Reducing Injury. May 2009. © 2013. TFP, Inc. and www.100yearlifestyle.com. All Rights Reserved.